Glean wisdom and encouragement from Bible moms! Introducing you to Eve, Sarah, Hannah, Salome, Mary, and other women of Scripture, Macias shows you that the concerns of their hearts mirror yours. Discover what they have to say about fear, discouragement, grief, and gratitude and learn from their examples of prayer, sacrifice, and faithfulness. Hardcover. The same God who has shown His faithfulness to mothers across time is faithful still to mothers today. Daunting challenges that mothers face day in and day out are not unique to this time, and modern-day moms have much wisdom to gain from true examples recorded in Scripture. In Mothers of the Bible Speak to Mothers of Today, readers meet ordinary women of their day who, by Gods incomparable grace, were used for extraordinary purposes. 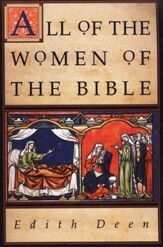 Readers will journey through the lives of 15 such motherslike Eve, Sarah, Jochebed, Hannah, and Bathsheba of the Old Testament, continuing through the New Testament with stories such as those of Elizabeth, Salome, and Mary. Exploring heart issues like fear, discontentment, grief, and gratitude, readers will discover solutions through biblical models of prayer, sacrifice, and faithfulness. Through these life lessons, the author points to the ultimate unfolding of Gods eternal purposes across the seasons of motherhood. Each chapter ends with a Making It Personal section and an appropriate prayer. 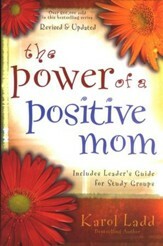 Beautifully designed, this book makes the perfect gift for a mother on any occasion. Multiple award-winning author Kathi Maciass more than 40 books include the Quilt series, the award-winning Freedom series, and the Extreme Devotion novels for New Hope Publishers. Her devotionals reach hundreds of thousandsthrough the Christian Civic League, Black Christian News, Latino Christian News, Christians in Recovery, and crosswalk.com. The Excellence in Media Angel Award, San Diego Christian Writers Guild fiction awards, Golden Scroll Novel of the Year (Red Ink), Carol Award finalist (Red Ink), 2011 Author of the Year for BooksandAuthors.net, and an international writing contest grand prize are some of her credits. A popular speaker for womens retreats, conferences, churches, and TV and radio programs, Kathi also loves outreach to prison and homeless ministries, and praying for and aiding the persecuted church globally. A mother and grandmother, Kathi lives with husband, Al, in California. Each chapter begins with a key Scripture and thorough list of suggested Scripture readings for a solid, Bible-based approach to remaining chapter content. 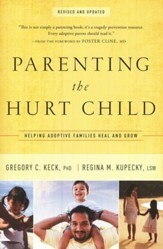 Author interjects practical application by raising insights meaningful to contemporaty women. Sound exegesis, exposition, and study prompts for reader follow-up includes end-of-chapter reflective questions/journaling opportunities. Content provides encouragement through the joys, trials, failures, successes, and even temptations that come with motherhood. 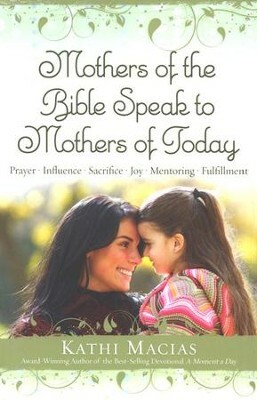 I'm the author/artist and I want to review Mothers of the Bible Speak to Mothers of Today.